Whether you’re a fan of Julian Assange or not (I most certainly am not), it’s impossible to deny that the WikiLeaks hack has provided Americans with a secret keyhole view into the dingy and sordid backrooms where Hillary Clinton does her business. WikiLeaks has released an enormous amount of information and some of it definitively shows that Hillary Clinton isn’t fit to be President. Those were not the only questions that Hillary received either. It was unethical for Clinton to know some of the questions in advance, but we also have to consider the possibility that this is the tip of the iceberg and she may have known MANY of the debate questions beforehand. 2) Hillary Says Her Dream Is “Open Borders”: Do you believe in the rule of law, borders, or the sovereignty of America? Well, Hillary Clinton doesn’t. As she said in a private speech that was revealed by WikiLeaks, “My dream is a hemispheric common market, with open trade and open borders…” No prosperous country with a massive welfare state can survive open borders over the long term. That means Hillary Clinton’s long-term vision for America is suicide. 3) Hillary Was Paid Off By The King Of Morocco: Hillary Clinton was credibly accused of taking a bribe during her cattle futures scandal and there have been numerous allegations that money was paid to Bill Clinton for speeches or to the Clinton Foundation and in return, Hillary repaid the money with support for a government from the State Department. This scandal reinforces the idea Hillary Clinton is corrupt and can be paid off. “This was HRC’s idea, our office approached the Moroccans and they 100 percent believe they are doing this at her request. The King has personally committed approx. $12 million both for the endowment and to support the meeting.” HRC stands for Hillary Rodham Clinton. (Huma) Abedin said Clinton’s attendance at the CGI event was a condition of the $12 million contribution. “Just to give you some context, the condition upon which the Moroccans agreed to host the meeting was her participation. If hrc was not part if it, meeting was a non-starter,” Abedin said. 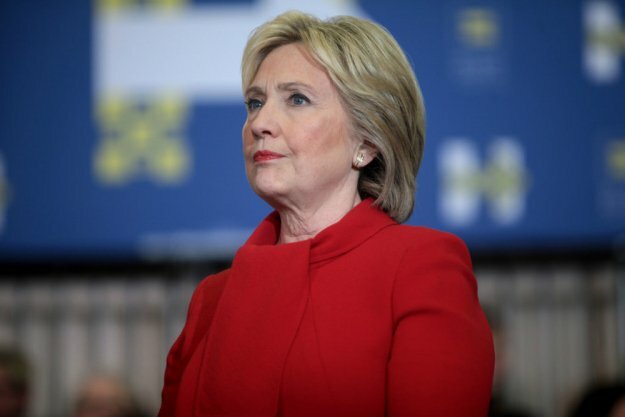 4) Hillary’s Staff Admits That She Hates Everyday Americans: During the Democratic debates, Hillary Clinton rather famously said that she considered “Republicans” to be her enemies. Similarly, Clinton said, “You know, to just be grossly generalistic, you could put half of Trump’s supporters into what I call the basket of deplorables. Right?” Although it is surprising that someone running for President would be so open about despising everyone who disagrees with her politically, that at least makes a certain kind of sense. A socialistic Democrat detests people who believe in capitalism and conservatism. On the other hand, it’s hard to understand how Americans could vote for someone described this way by John Podesta, one of her closest aides, “I know she has begun to hate everyday Americans, but I think we should use it once the first time she says I’m running for president because you and everyday Americans need a champion.” If you consider yourself an everyday American, which describes the vast majority of people in the country, how do you vote for someone who HATES you? 5) Privately, Hillary’s Team Believes That The Iran Deal Will Lead To A Nuclear War: Republican Mark Kirk publicly said, “This agreement condemns the next generation to cleaning up a nuclear war in the Persian Gulf. This is the greatest appeasement since Chamberlain gave Czechoslovakia to Hitler.” Hillary’s confidant John Podesta agreed. This is particularly relevant because although Hillary Clinton was out of office when the Iran deal was signed, she backed it and has defended it publicly. Meanwhile, in private her own team admits it will lead to a NUCLEAR WAR.